No other slip on has Pachmayrs patented Speed Mount insert for fast, snag free gun mounting. On Target Fast - No other slip on has Pachmayrs patented Speed Mount insert for fast, snag free gun mounting. 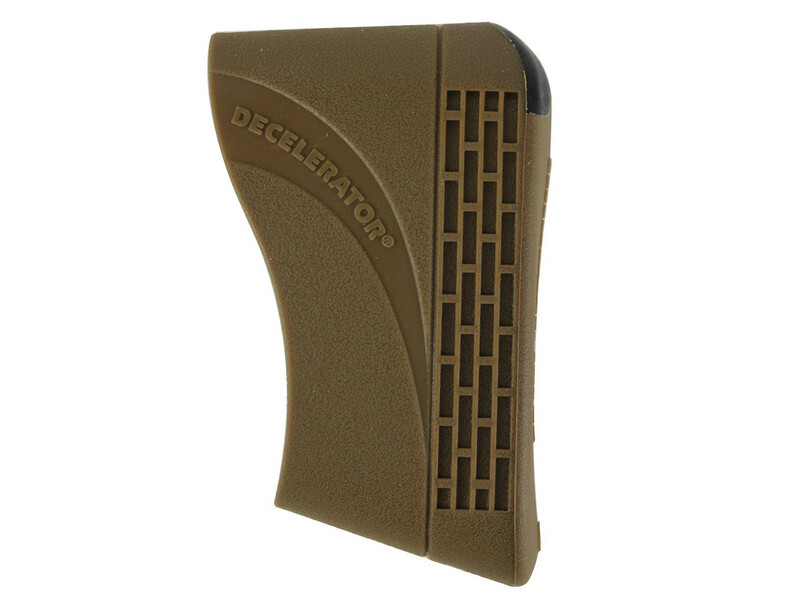 The decelerators exclusive material and internal recoil chamber design deliver unequalled comfort. Find the size that best fits your needs. * Small - 1 1/2" to 1 5/8" wide x 4 3/4" to 4 7/8" long. * Large - 1 3/4" to 1 7/8" wide x 5 3/16" to 5 7/16" long.